Although I know that sunscreen in a necessary evil in order to protect our skin from harmful UVA & UVB rays. but I just can’t stand the thick consistency. I have oily skin already and adding another product to my beauty regime is not something that I look forward to because I literally feel the product on my face. So I opt for a moisturizer that includes SPF so that I’m not adding another product on my face. 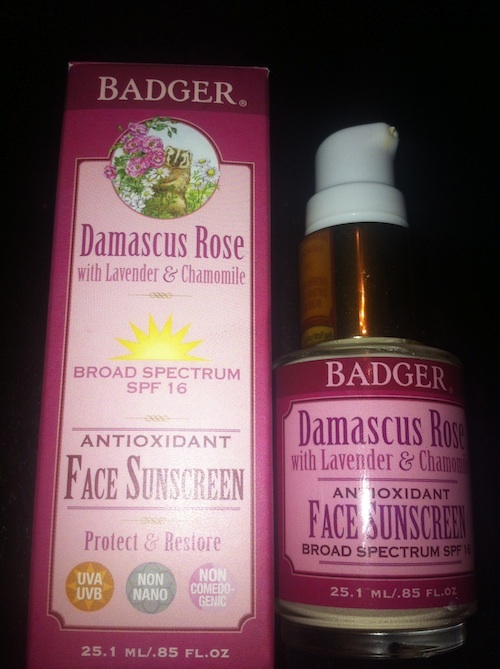 But I just tried a sunscreen that changed my mind, Badger Damascus Rose SPF 16 Face Sunscreen Lotion. Badger is a family run business in rural New Hampshire, they use natural and certified organic ingredients and none of their products are tested on animals. Their sunscreen contains antioxidants and nutrient-rich extracts like aloe, lavender oil, chamomile and rosehip extract. This sunscreen lotion is a lightweight cream with a subtle scent of roses and lavender which smells wonderful. 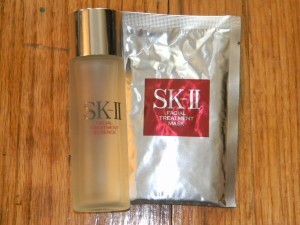 Another bonus is the rich blend of anti-aging compounds like Calendula and Seabuckthorn. The sunscreen applies smoothly like a moisturizer and doesn’t leave traces of white behind like some sunscreens do. 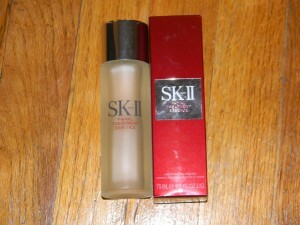 It provides SPF 16 protection and can be used alone or under makeup. After applying the sunscreen I didn’t even feel it and it didn’t irritate my sensitive skin even after putting on my makeup. For a while I’ve wanted to try a Hyaluronic Acid (HA) supplements, I’ve used skin care products that contain HA but I’ve heard quite a bit about the skin care benefits of oral supplements. Almost 50% of the Hyaluronic Acid in our body is found in the skin, the rest is found in almost every cell in the body. What is does is quite miraculous – with the help of water HA lubricates movable parts of the body, such as joints, eyes and muscles improving joint condition. HA binds to water creating a gel-like substance that hydrates tissue and keeps the collagen nourished and healthy, resulting in firm skin. And since Hyaluronic acid moisturizes skin from the inside it smooths out wrinkles making it the perfect natural anti-aging ingredient. The problem is as we get older we tend to produce less and less HA in our bodies. So supplements are a great option to add more HA to our bodies to keep our bodies working well and keeping our skin plump and smooth. 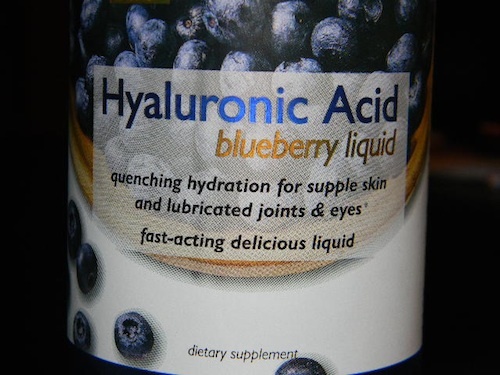 So I decided to give these supplements a try and for almost three weeks I’ve been taking NeoCell Hyaluronic Acid Blueberry Liquid™. This liquid supplement can taken by the spoonful or mixed in water or juice. I prefer to just take the tablespoon because it tasted really good, its a perfect blend of sweetness and tartness mixed together. Since I workout quite a bit I’ve noticed some joint stiffness, especially in the past year but lately I haven’t had a problem with hearing my joints “crack” which is great because honestly who wants to hear that and be reminded that they’re getting older! My skin also feels plumper but alas I still have a few fine lines. So I’ll keep taking the supplement in hopes that there will be some improvement in this area. 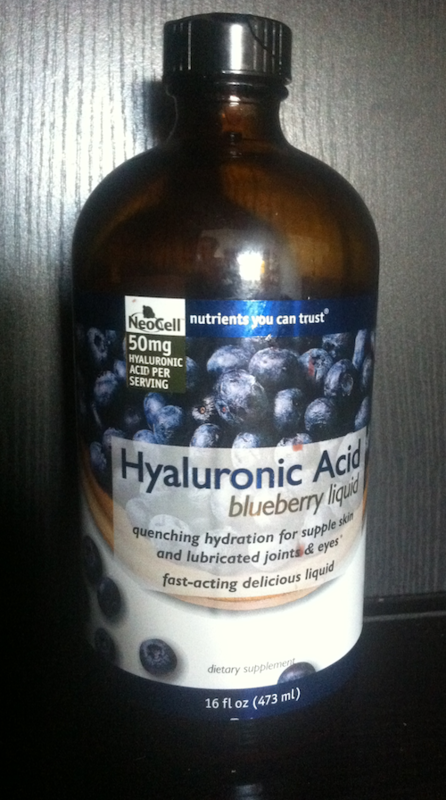 Overall I really love how easy and pleasant it is to take Hyaluronic Acid as well as the multitude of long term health benefits that it offers. Have you tried any Hyaluronic Acid supplements? Did you see the story released over the weekend about Botox and its possible link to decreased ability to empathize? Excessive Botox has long been linked with an expressionless face, but it turns out that inability to physically express emotion (through frowning or other facial gestures) might actually inhibit your ability to feel empathy toward people. It seems when humans can’t mimic the facial expressions of others, the ability to actually feel those emotions could be reduced. As an anti-aging skincare strategies go, Botox is also prohibitive both financially and as a time-investment. In addition to a high price-tag, the treatments need to be touched up fairly often to remain effective. (But they are really effective.) If you don’t have a trust fund or are terrified of needles, here are five skin treatments that don’t require a trip to the dermatologist. 1.) DDF Wrinkle Relax: Doctor’s Dermatologic Formula- also known as DDF- is a popular, dermatologist-style line due to their simple, effective products. DDF Wrinkle Relax is rich in water-binding sodium hyaluronate, and contains lipopeptide Matrixyl to plump and reduce fine lines. 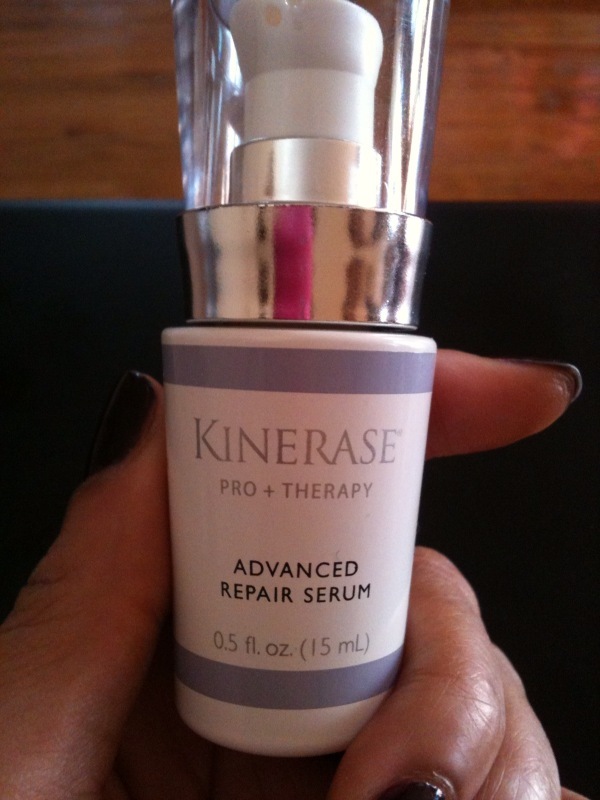 Acetyl Hexapeptide is also among the reparative ingredients in this skin serum. 2.) Peter Thomas Roth Firmx Growth Factor Extreme Neuropeptide Serum: “Peptide” is a word you hear a lot in relation to damage-repairing and age-defying creams, and PTR’s Firmx Growth Factor Extreme Neuropeptide Serum. Ingredients like NEURO-BLOKKTM seem a bit- well, unscientific- but the product is designed to increase skin elasticity and hamper the muscle contraction that causes fine lines. At $150, it’s nearly a drugstore bargain in the realm of high-impact creams and treatments. 3.) Natura Bisse Diamond Drops: This top-shelf cream contains a skin-protecting ingredient called “Marine DNA.” Marine extracts are very popular in skincare, largely because in order for plants to thrive under water, they need highly concentrated nourishment. 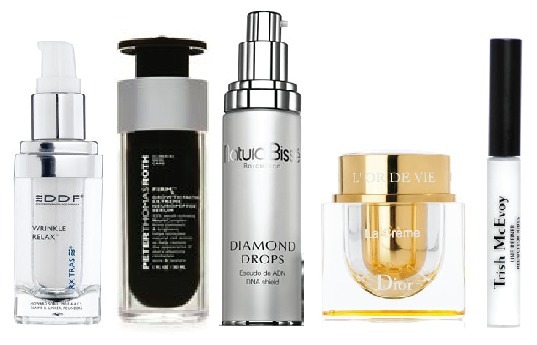 Diamond Drops isn’t a moisturizer- it goes on over your cream to protect and repair skin. In addition to its high tech ingredients, it also contains soothing lavender oil to calm skin and reparative grapeseed extract. 4.) Dior ‘L’Or de Vie’ La Crème: This fancy gold container houses an antioxidant-packed cream that is focused on renewing and repairing age and environmental damage skin has sustained. Dior ‘L’Or de Vie’ La Crème contains ingredients from a French vineyard that are put through a “17-step purification process (that) extracts every drop of the vines’ essence.” Hydroin, ectoin and hydroxyectoin are among the ingredients cited in this thick, skin-smoothing cream. 5.) Erno Lazlo ThranspHuse pHixation: Sometimes you need some on the spot, same-day results. Billed as a “surgiceutical” product, this lip-gloss like container proffers a “cooling, concentrated formula” with “Marine filling spheres” to reduce the appearance of fine lines and wrinkles. Hyaluronic acid draws and holds water, and a green tint masks redness. Signs of aging aren’t necessarily the enemy, but a luxe, high-tech cream feels pampering and effective in your skincare routine. Have you found any high-impact creams or treatments that reduce damage? What’s your biggest skincare splurge?